The Intelligent Leisure Solutions Group began operations in Salvador, Bahia, Brazil in 1999. Since then it has spun off several companies. Our team is an eclectic group of Brazilians, North Americans, Europeans and Tbirds that have decided to make Salvador, Bahia, Brazil their home. This international mixture is what makes us unique and allows us to provide superior quality and innovation solutions in all of the services we offer. Our goal is to offer only innovative quality solutions to our clients and to provide above average returns to our investors. 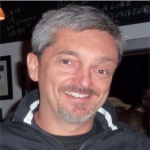 Robert Phillips, the Managing Partner of ILS (Intelligent Leisure Solutions), is a US citizen born in Santa Cruz, Bolivia, currently residing in Salvador, Brazil. He spent most of his non-adult life living throughout South America – Brazil (Amazon, Salvador and Rio de Janeiro), Bolivia and Colombia. Robert has a BS in Electrical Engineering and an MS in Space Power from Auburn University; and has worked in sectors as diverse as space power in the USA and oil exploration in Kuwait. 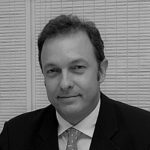 He then ventured to the business side working for Bayer Pharmaceuticals after receiving his MBA from Thunderbird – School of Global Management and then to Salvador, Brazil in 1998, where he developed tourism and entertainment projects for Odebrecht. Robert began working at Intelligent Leisure Solutions in 1999 to help create innovative solutions merging technology, business, tourism and real estate in Brazil. Robert is fluent in English, Portuguese and Spanish. When he is not working Robert enjoys yoga, snorkeling, soccer and ultimate Frisbee with his family and friends. 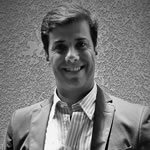 Eduardo Farina is a Brazilian national, also Italian citizen, self defined as a generalist profile executive with value-added competencies in Turn-around Management, Finance, Business Development and Project Management, at C-Level positions. He has an extensive network in the US, Canada, Latin America and Iberian countries, and speaks 5 languages. Besides corporate experience, Mr. Farina has worked in the pubic and not-for-profit sectors. – Digital marketing, e-commerce and other SAAS solutions. – CloudTags (Atlanta, GA), Big Data and predictive analysis for retailers. He lives in Vancouver, BC with his family. When it doesn’t rain (and it’s not too cold!) he goes paragliding in the local mountain sites. Tiago Almeida is a Portuguese citizen, born in Lisbon, and a Brazilian National. He grew up in Brazil, Portugal and the US. Early in his career, while in college, he co-founded an internet company, then left to dedicate himself to Hotel Business School, at the International University of Lisbon. He actively participated at the opening of the Lisbon Marriott Hotel and was selected to participate in Marriott’s trainee program at the Newark Airport Marriott Hotel. Afterwards he moved back to Portugal and started at the commercial department of the Lisbon Marriott. In 2003 moved to Brazil, Salvador, where he met his wife and started working for the State of Bahia Government promoting the Tourism of Bahia internationally. Three years later was invited to head the Sales department of the Convento do Carmo Hotel, the first Leading Hotel of the World (LHW) in the Northeast of Brazil. He then headed south, to Rio de Janeiro, to the Director of Sales and Marketing for the opening of the Santa Tereza Hotel and lead the process of becoming a Relais & Chateaux hotel, the first in Brazil. In 2009, assumed the position of Resident Operations Manager for the Olinda Othon Hotel at Copacabana Beach. In 2012 he adventured into the advertising sector as General Operations Manager for JCDecaux Salvador, Bahia. Where, a couple years later he accumulated the role of General Operations Manager for the International Airport of Salvador (BA) and Natal (RN). In 2017 he created Inception Hospitality Services where he is developing, with Brazilian and South American partners, projects related to the Internet of Things (IoT) and Digital Sales and Marketing projects for the Hospitality Business in LATAM. When he’s not working Tiago likes to run, read and adventure in the kitchen cooking his favorite Portuguese dishes!